An ambitious middle school planned to better prepare black students to succeed at SUNO was abandoned this week by the Thurgood Marshall College Fund, after more than two years of planning. 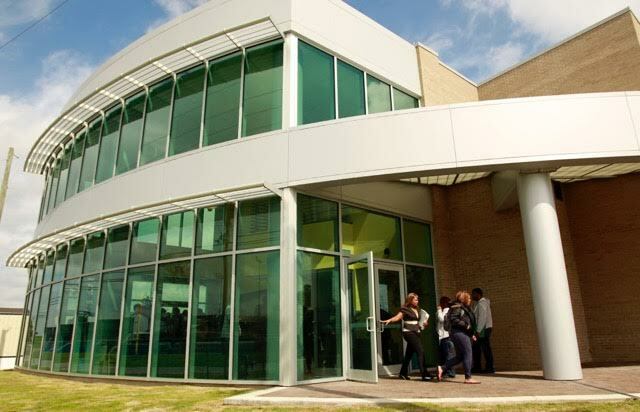 The TMCF Collegiate Academy at SUNO – Southern University of New Orleans – was intended to be a model school that the Fund could replicate nationally. It was to feature a blended-learning approach, and be closely tied to SUNO’s college of education. But the Fund’s leaders decided this week to surrender the charter awarded to the organization in 2013. This is the first charter approved by the Orleans Parish School Board that has not resulted in a school, deputy superintendent Kathleen Padian said. After two years of planning, the school still had no building and no partner to manage the back-office administration such as payroll and accounting, said Juontonio Pinckney, vice president and superintendent for K-12 Initiatives at the Thurgood Marshall College Fund. Initial plans to build on the SUNO Campus were waylaid by environmental issues. Then TMCF Collegiate Academy leaders pursued a location at Levy Garden, in East New Orleans. But The Eastern New Orleans Neighborhood Advisory Commission opposed that site, saying the school would take up valuable commercial space and that the community was already saturated with schools, according to a resolution passed by the commission. The idea itself was novel: TMCF Academy leaders wanted to build a school intertwined with a college campus and infused with technology, in the hope of improving learning among poor black youth and also linking them, early on, with a college education. The TMCF Collegiate Academy would have started with 75 students each in sixth through eighth grades, and grown to a high school program from there. SUNO teacher education students would have coached the middle schoolers. Ideally, SUNO graduates would have been hired to as full-time teachers, too. 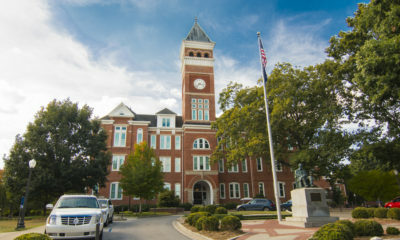 The school was intended to be the first of five to be opened nationwide by the Thurgood Marshall College Fund, which advocates and raises money for public colleges and universities that are historically black or Latino. The Fund is now in talks with the University of the District of Columbia to open a school with the same blended learning model located on that campus, said Kathy C. Harris, chief of staff at the Fund. Why did the college fund turning its eye to middle schools in the first place? Put simply: existing programs, both charter and traditional, weren’t preparing graduates to succeed in HBCUs, said Johnny C. Taylor Jr., president and CEO of the Fund. At first glance, New Orleans seemed the perfect petri dish for the experiment, because of its charter-friendly environment and the presence of a struggling historically black public university. In 2013, SUNO’s graduation rate stood at just 11 percent. The college’s poor outcomes, which in 2011 were the lowest of any HBCU in the nation, spurred a state attempt to merge the school with University of New Orleans. The merger didn’t go through but the idea was floated again this year. Nationwide, HBCUs have better success rates with black students than other colleges do, but the overall graduation rates are much lower than those for all colleges. In 2013, just 31 percent of HBCU students earned a degree within six years. The average for all post-secondary schools was 59 percent nationwide, according to the National Center for Education Statistics. Though graduation rates are low, HBCUs play a significant role in providing higher education to black students nationwide. Just 100 HBCUs gave out a whopping 16 percent of the undergraduate degrees earned by all black students nationwide in 2012, though they represent a small fraction of all colleges. Building or supporting secondary schools, Taylor said, is a wise investment for HBCUs, which are under pressure from the federal government to improve four-year graduation rates. Instead of reforming existing K-12 schools, TCMF leaders say new middle and high school models can be tailored to suit the unique needs and challenges of students who would typically attend an HBCU. More charter schools are using blended learning to educate low-income students and help teachers deal with the range of skills in the classroom, said Michael Horn, co-founder of the nonprofit think tank Clayton Christensen Institute. The approach accommodates the sometimes chaotic, disrupted lives children in homes of poverty lead, allowing them to pick up learning after a lapse in attendance, he said. The blended learning model might have offered a novel laboratory for SUNO’s teacher education candidates, as well. But SUNO won’t be the testing ground for this progressive approach, after all.